I wanted to do something fun for my birthday. I am a lover of game playing. I am ruthless at Trivia Pursuit, Charades, Monopoly… you name it, I want to win it. All kindness and respect simply evaporate when the game is on the line. I was ready to strangle her. We continued to solve each challenge. As we got to the end and needed the clue from the chess set, half of our group just gave up. Three of us keep trying to decode the lock which we did with mere seconds to spare. Oh, how we celebrated! 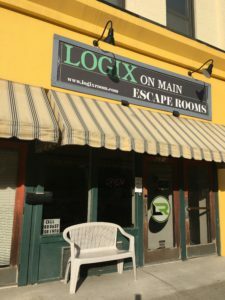 I did another escape room in the area. I wasn’t very happy with the experience. The moderator kept insulting us and the clues were ridiculous. So many red herrings. I’m not sure you really have a fair chance to solve it. 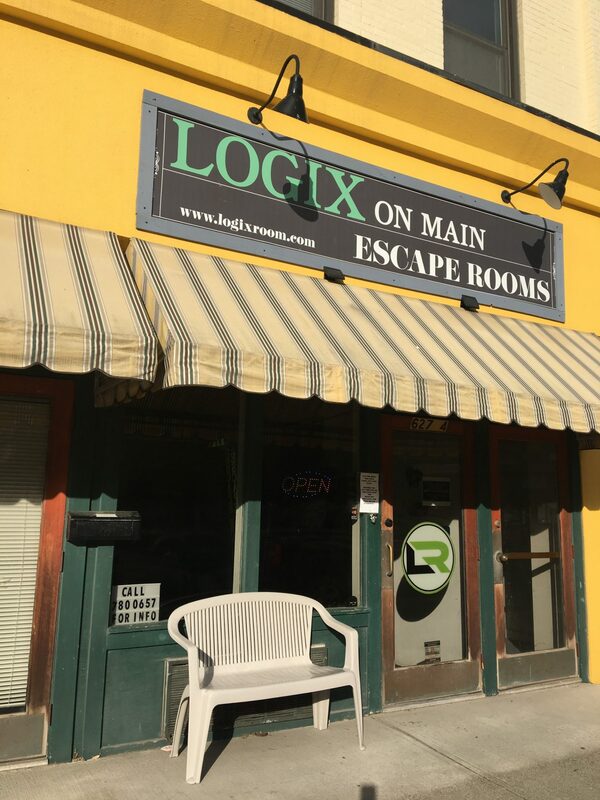 Now, it was time to participate in Logix on Main. We had seven of us ready to go. The owners were quite nice and hospitable. We were instructed to FOLLOW THE CLUES. She must have repeated it no less than twelve times. We began. 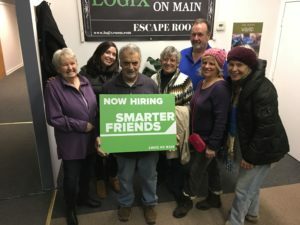 We couldn’t even find the opening to the room! They gently guided us. Once in the hallway, it took longer than one would expect to find the opening into the room, but at last, we found it. Already ten minutes into our game and we only just found the room. We began finding clues and finding answers. And, then we began finding all sorts of things, creating imaginary clues. Even with some assistance we still felt the need to ignore the obvious. We were actually holding the solution in our hands as the clock ticked down and we would then be branded LOSERS. I thought about it all that night and into the next day. And then I had a shift in thought. We were clearly instructed to follow the clues. 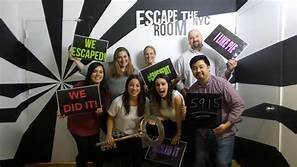 Had we done so, we would have escaped with plenty of time remaining. Why did we feel the need to make it more difficult than it needed to be? Why not just look at what’s in front of you and respond to that? How often do we do that in life? Suddenly, what started as a simple game evolved into a big life lesson for me. Escaping, or winning, was not really the goal. Sharing time with people I love, laughing, and enjoying ourselves was the prize. Sometimes, most times, always, what we need is right in front of us if we could just get out of our own way to see it.